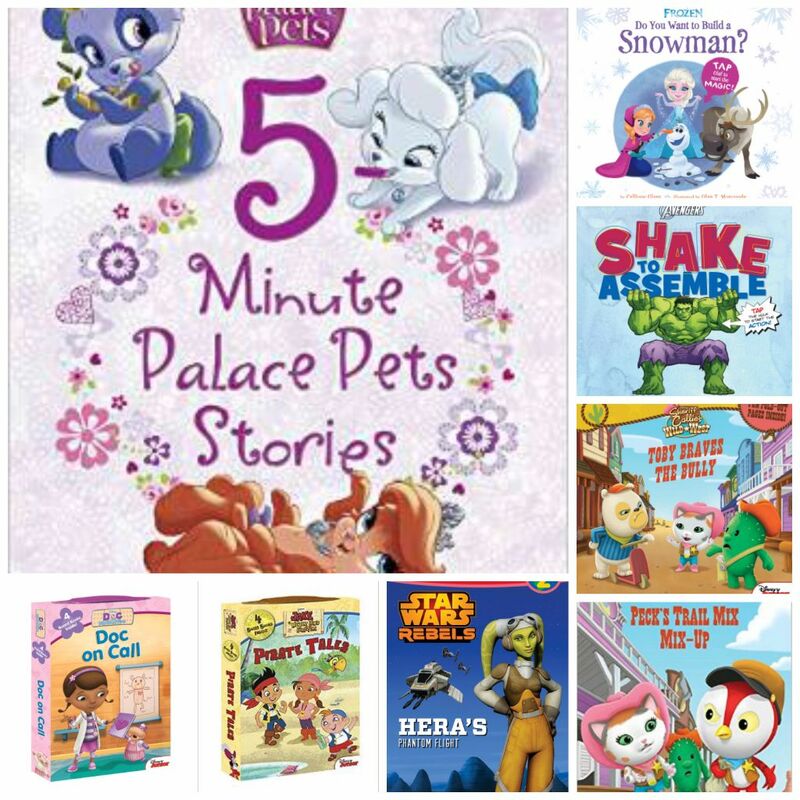 Spring is here – and so are many wonderful, new books from Disney! There are new books certain to please any young Disney fan. This week, we are pleased to share eight books that will be available on shelves and online starting TUESDAY, MARCH 31, 2015. They are just in time to add to an Easter basket or to take on a park outing and read under a shady tree! Have fun! This fun, interactive series fits all properties and allow the reader to be involved with the storytelling. This instructional book helps children learn numbers and directions such as up, down, left, right, clockwise and counterclockwise. 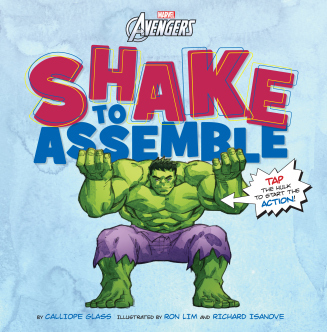 With a simple tap, shake, and touch of Disney magic, this “hands-on” interactive picture book gives a true sense of wonder and love for reading. Both of these books are amazing! While the ages for these books are listed as preschool (3-5 years old), I can promise you that NDK enjoyed these books! It was very refreshing to have interactive books that did not have any technology whatsoever. No batteries to replace, no sounds, no mobile app included. These books use imagination and simple skills. The NDK Review: These books are fun. I think that younger kids will really enjoy these books. The books tell you to do things, so you get to have fun with the story instead of just listening to it. It’s almost like a game with your favorite characters. I got to annoy Bruce Banner and turn him into the Hulk! I also got to throw Captain America’s shield to him. In the book, “Do You Want to Build a Snowman?” I got to help Anna and Elsa build Olaf! The cover was sparkly, Elsa’s magic was sparkly too! I really liked getting to help make Olaf. 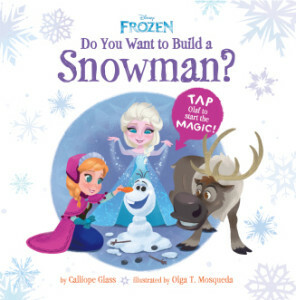 At the end of the book, you even get to talk to Olaf. Elsa’s dress and cape are beautiful. The pictures are colorful and pretty! World of Reading books were always a hit with NDK when she was learning to read. The fun colorful pictures and easy, repetitive words in simple sentences make these books enjoyable for early readers. With levels from Pre-1 through Super Reader, these books allow readers to grow with a series they feel comfortable with. 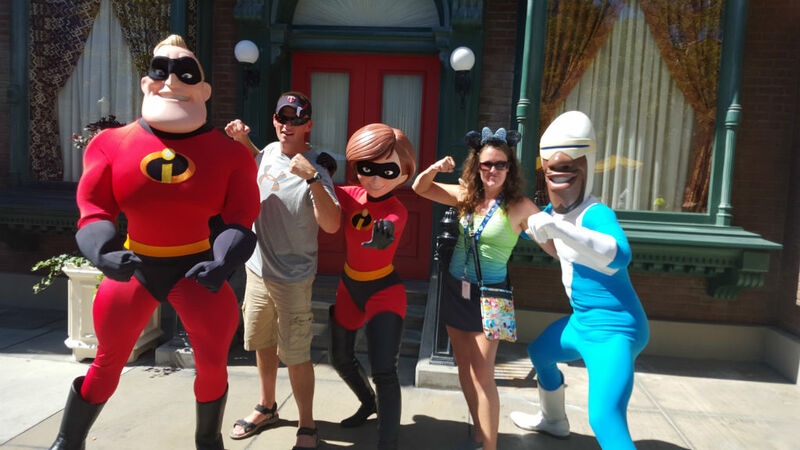 And when paired with your favorite Disney friends, it’s a win-win for everyone! 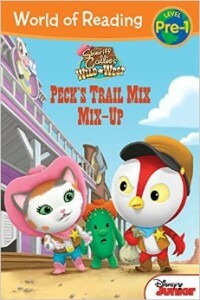 Peck’s favorite trail mix is slowly disappearing as the day goes on! Can he catch the trail mix thief? The NDK Review: This a cute and funny story. I like Sheriff Callie and her friends. This book is very easy to read. There are lots of great pictures, too! The NDK Review: I really like how the inside cover shows “A long time ago, in a galaxy far, far away.” This book has more words and sentences than an easy reader. It’s great for someone who already knows how to read. 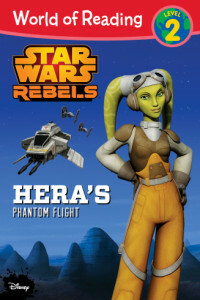 I am getting to know more about Hera from this book. 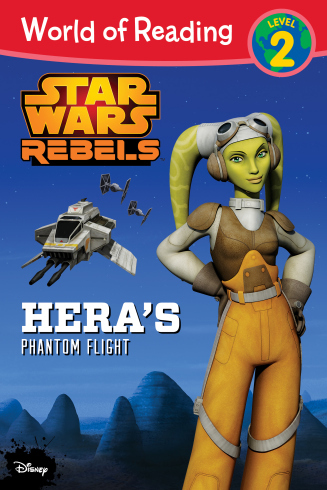 I like Hera, but I get scared watching Star Wars Rebels. I can enjoy the stories and learn about the characters without getting scared this way! The NDK Review: This is a fun story! Some of the pages fold out and show more to the story! The pictures show more action happening in the stories. Bradley is a bully and he picks on Toby. He isn’t very nice. Toby learns the right way to deal with a bully. Bullies are not nice people and they do mean things to kids like shove them or take their stuff. 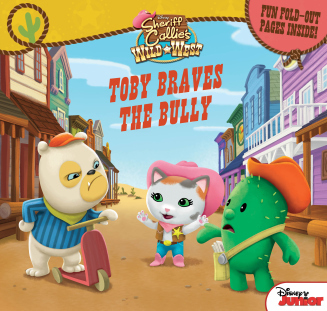 I learned from this book that if you meet a bully, you should tell the bully to stop. You should tell them they are being mean. You should always be nice. 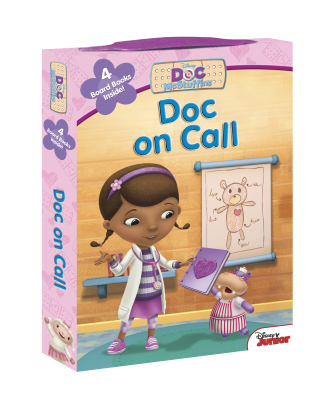 This value-packed box set of four board books stars the ever adorable Doc McStuffins, Lambie, Stuffy and the rest of the toy gang. The convenient carrying case with plastic handle and velcro closure is perfect to bring to school, take on the road, or keep for storytime at home! Boxed Set includes: Help is on the Way; The Doc at Work; Hooray for Cuddles; and Stuffy the Brave. 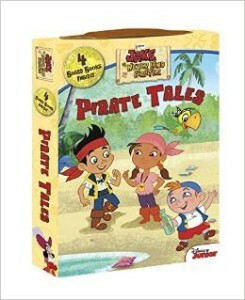 This value-packed box set of four swashbuckling board books stars Jake, Izzy, Cubby and the rest of the Never Land crew. The convenient carrying case with plastic handle and velcro closure is perfect to bring to school, take on the road, or keep for storytime at home! Boxed Set includes: Adventure Ahoy; Cubby’s Musical Caper; Pixie Dust, Away; and The Tick-Tock Treasure. The NDK Review: These are board books. These are cute, quick stories. I like how they are in a box. 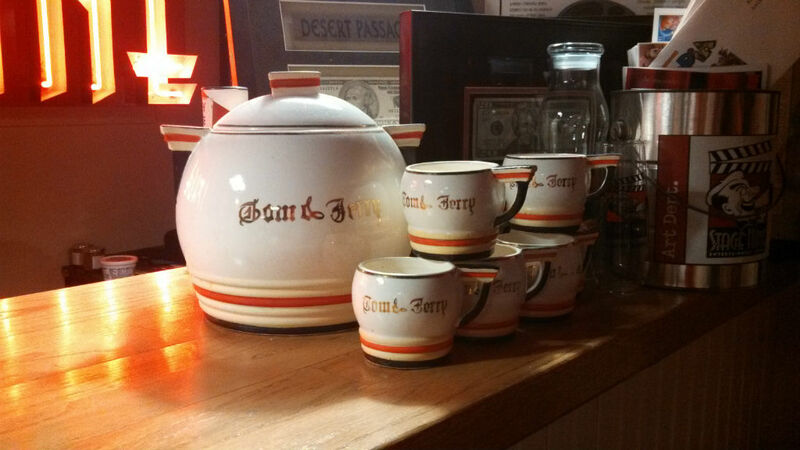 It keeps the stories together and you can carry them with the handle anywhere you want to go. I think books would be great to take with you in the car or when you take a trip to Disney! As noted before, I am a huge fan of the 5-Minute Stories series. These stories truly only take about 5 minutes to share with your child – which is perfect for sharing at bedtime, or when you only have a few minutes to spare. While NDK is reading these on her own now, she sometimes likes to break out her Princess Palace Pets and read the stories, along with the pets, to me. This is helpful because not only does she get practice reading aloud, these short stories are not overwhelming. 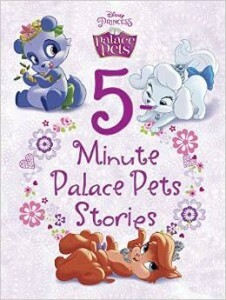 This 192 page book features two stories about six Palace Pets: Pumpkin, Berry, Treasure, Teacup, Bayou & Blossom. This book is a must have for any princess collection! The NDK Review: This book is so adorable. There are stories about how each Princess found her pet and then another story on an adventure they have! My favorite story is “A Performing Puppy for Belle.” Belle’s puppy, Teacup used to be a street performer. She is so cute! 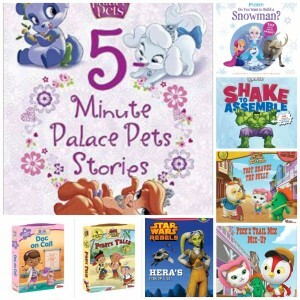 I like that the stories are short and I love to read the stories with my pets!